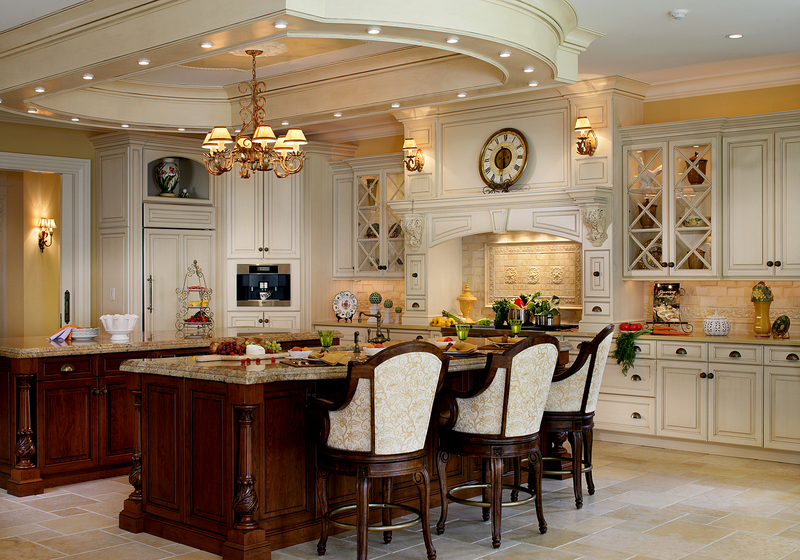 design photos – Design Your Lifestyle. 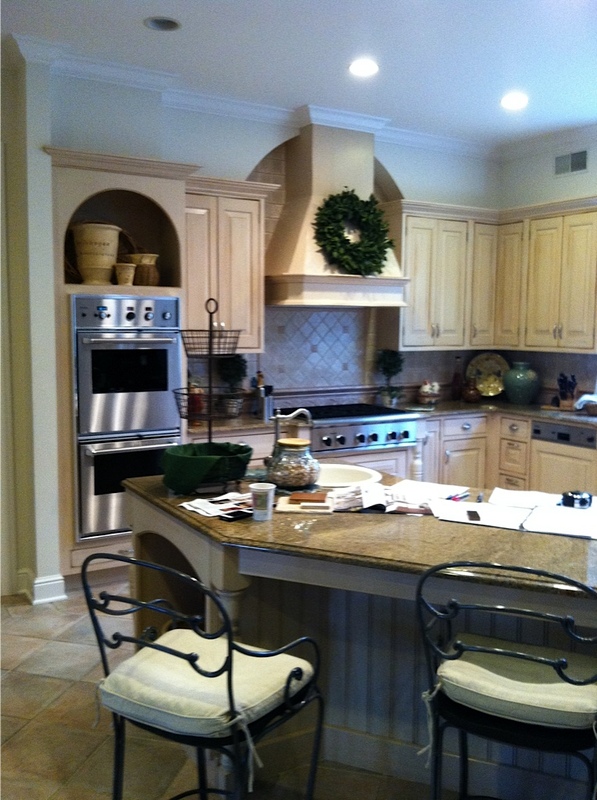 See These Beautiful Kitchen Design Photos: 4 Year Later! 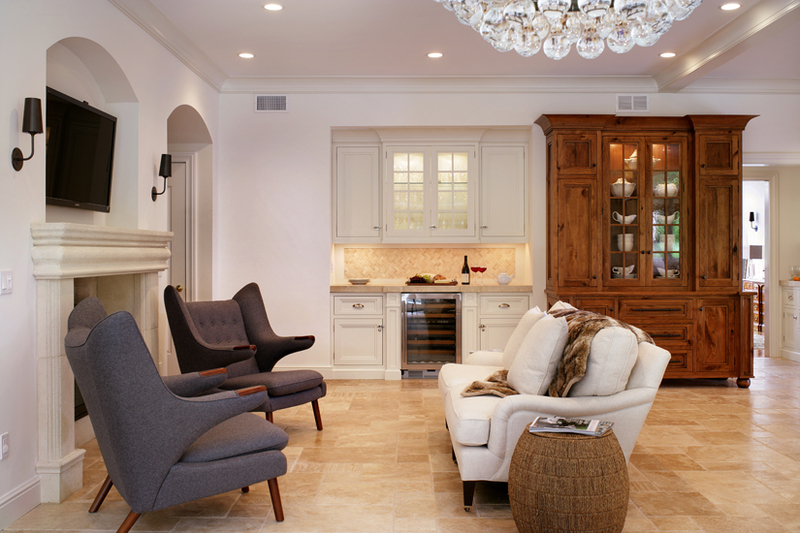 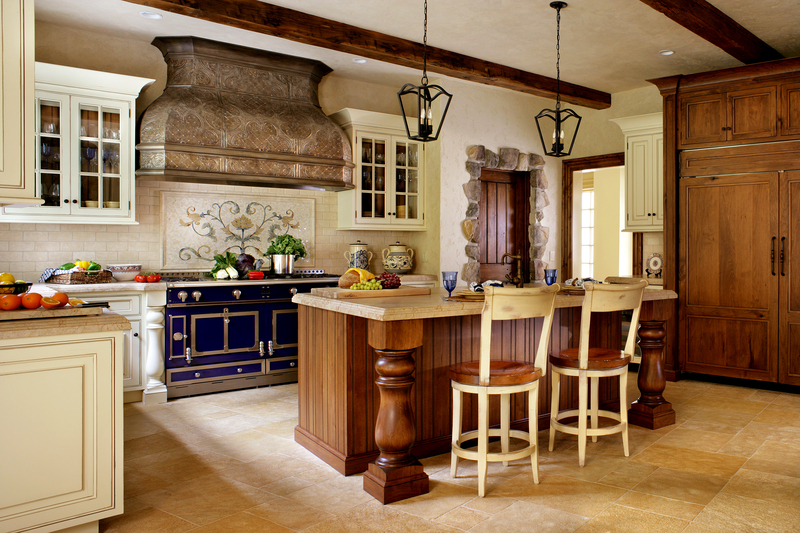 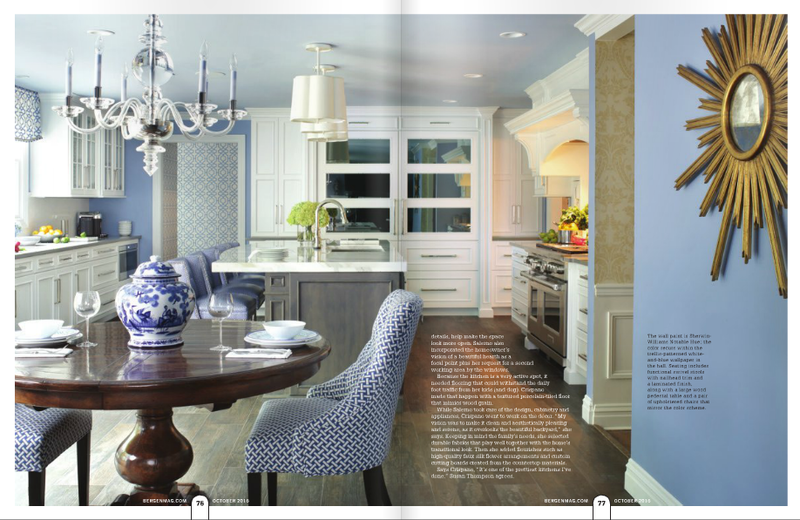 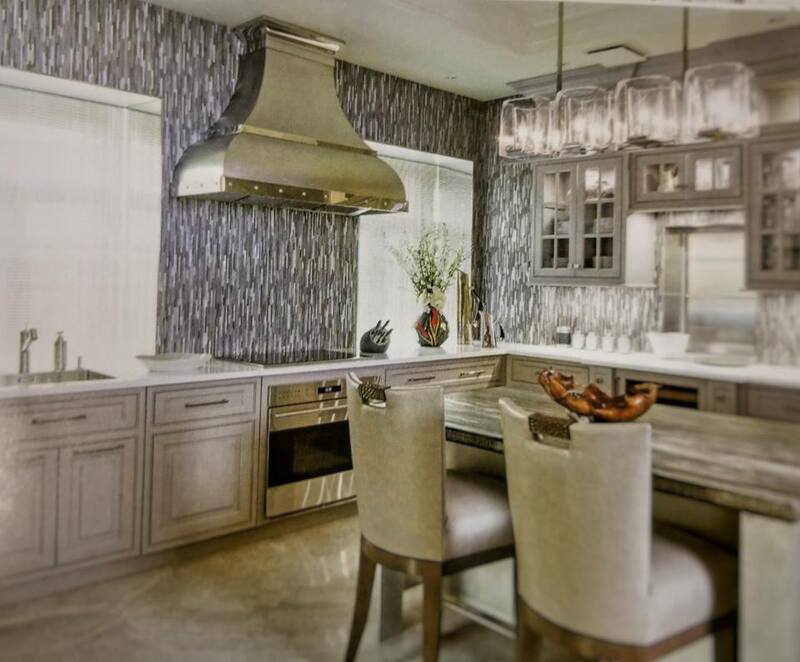 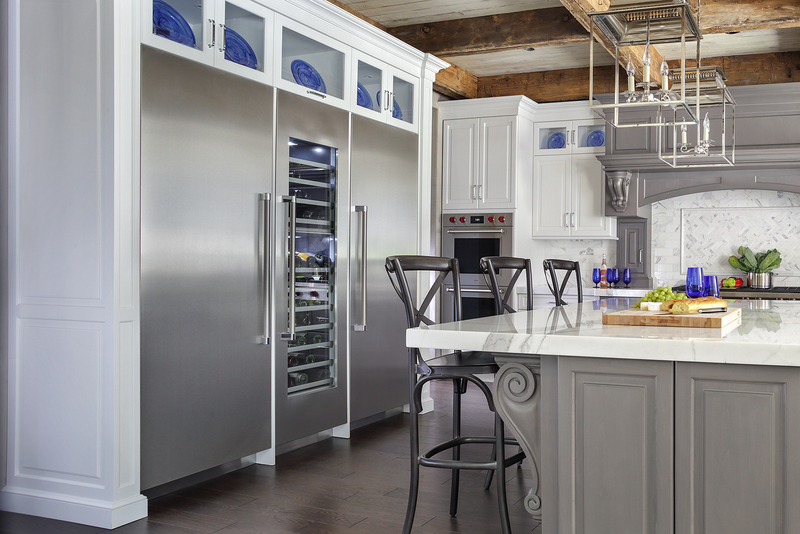 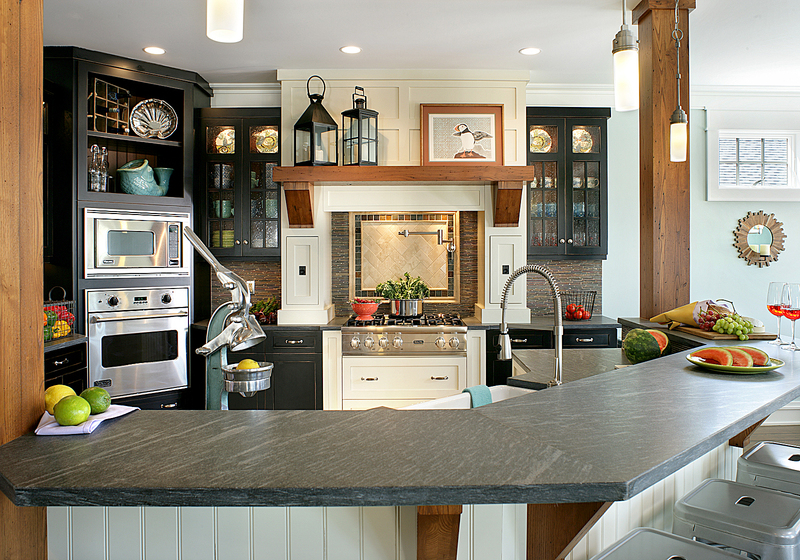 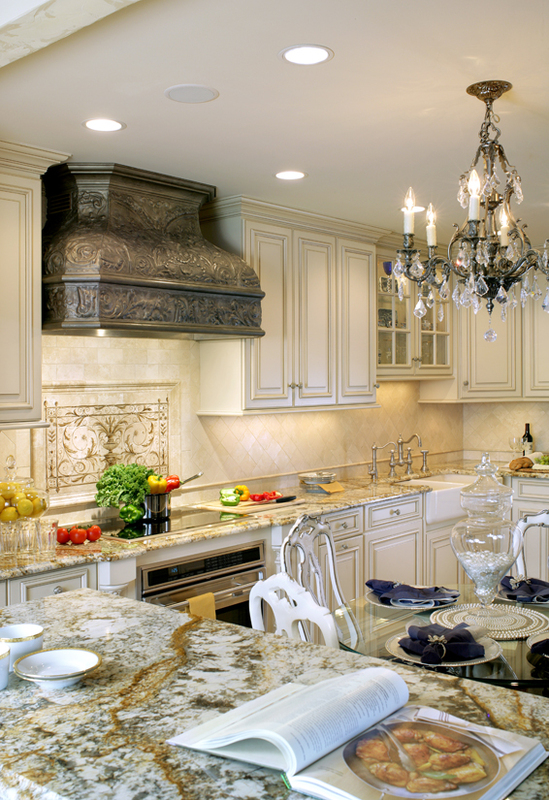 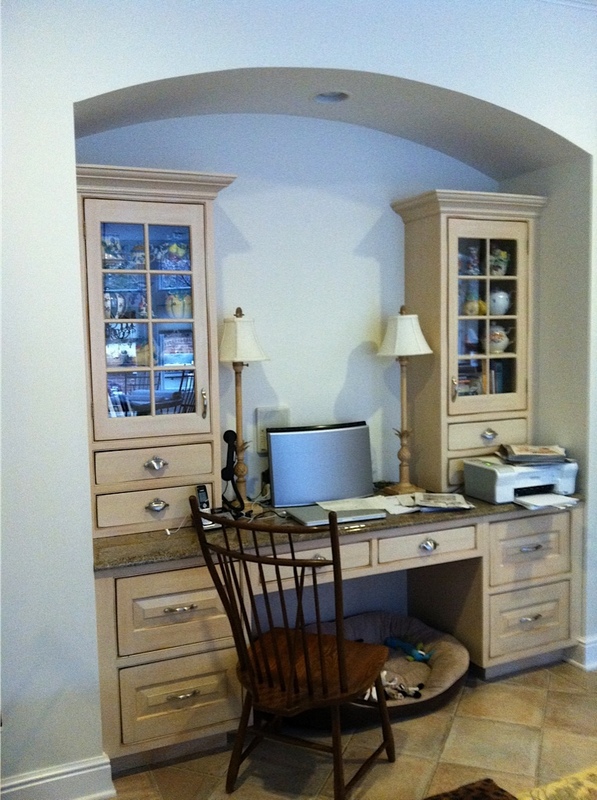 Four years ago, Peter Salerno Inc. installed a custom kitchen in the home of the Carrolls. 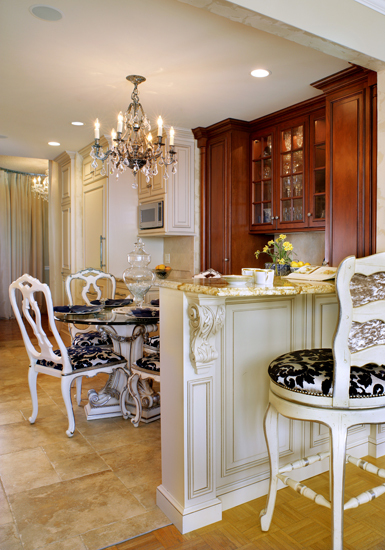 It was a privilege to work in their home and a pleasure to call them clients. 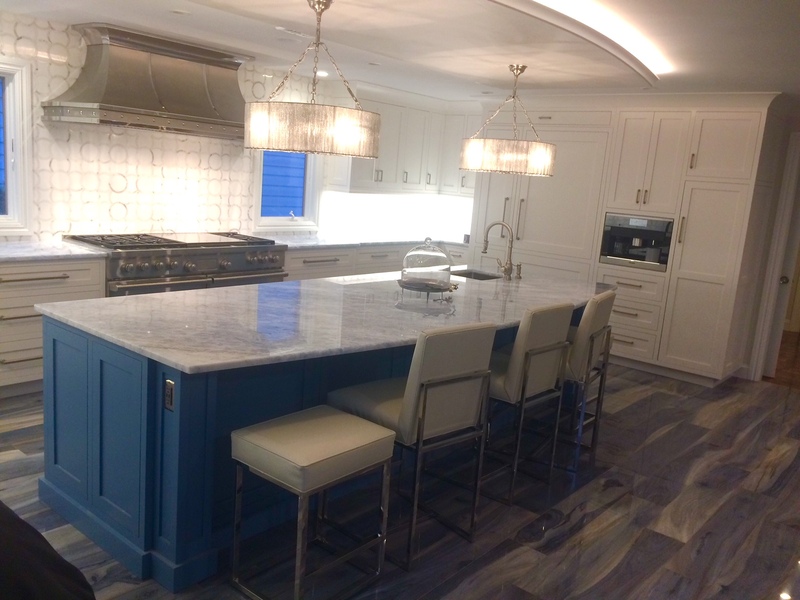 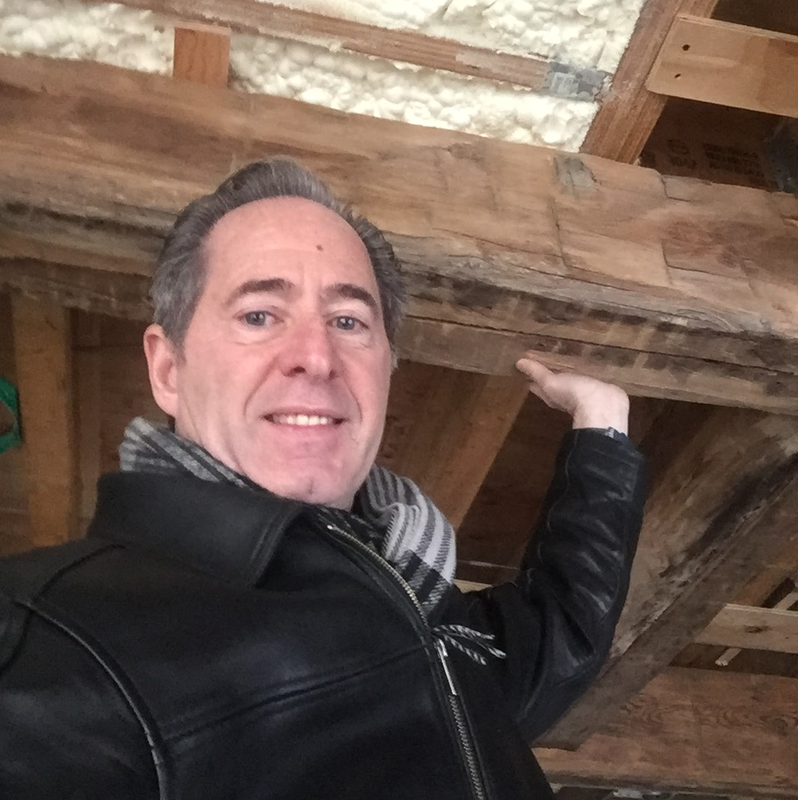 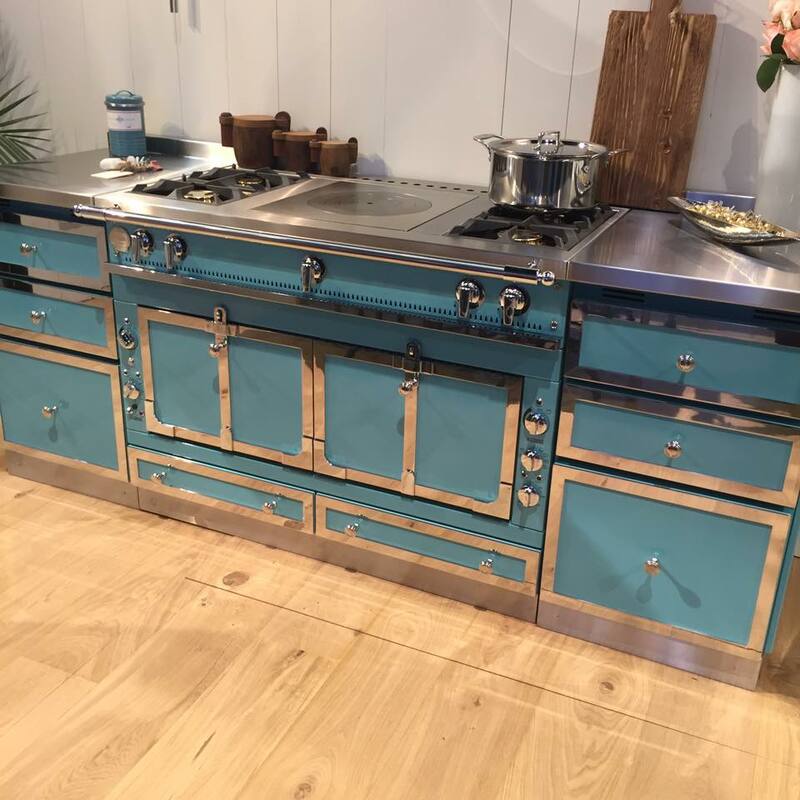 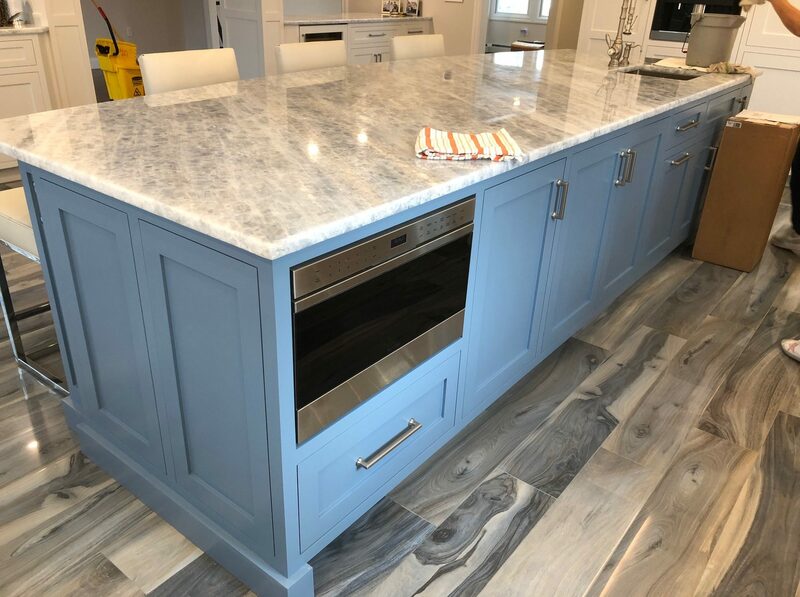 The work was one of Peter Salerno’s favorite kitchen design projects, and Peter had to check in 4 years later to see how the Carrolls made the kitchen design their very own. 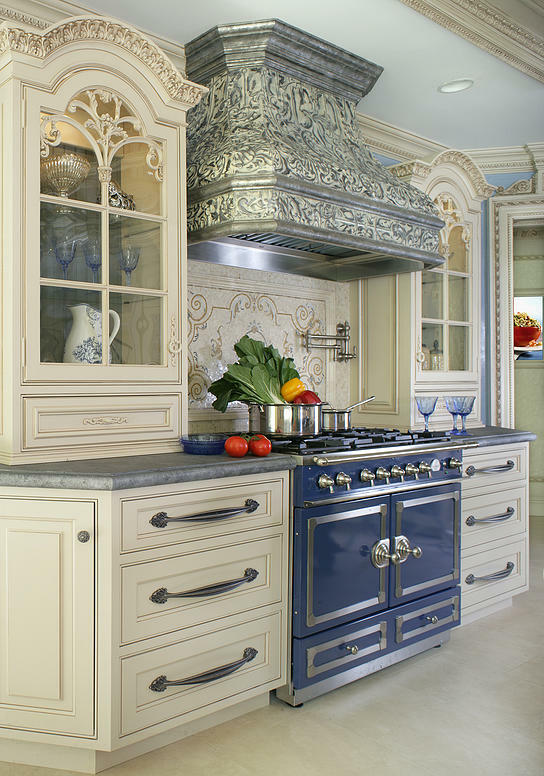 Even the master craftsman himself was blown away by how wonderfully his clients made use of (and maintained) their kitchen space. 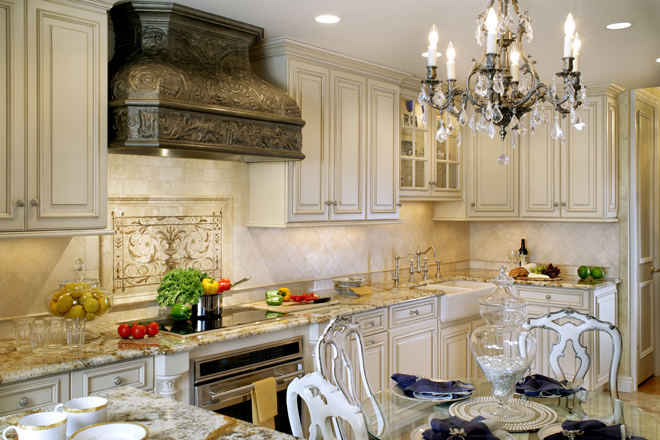 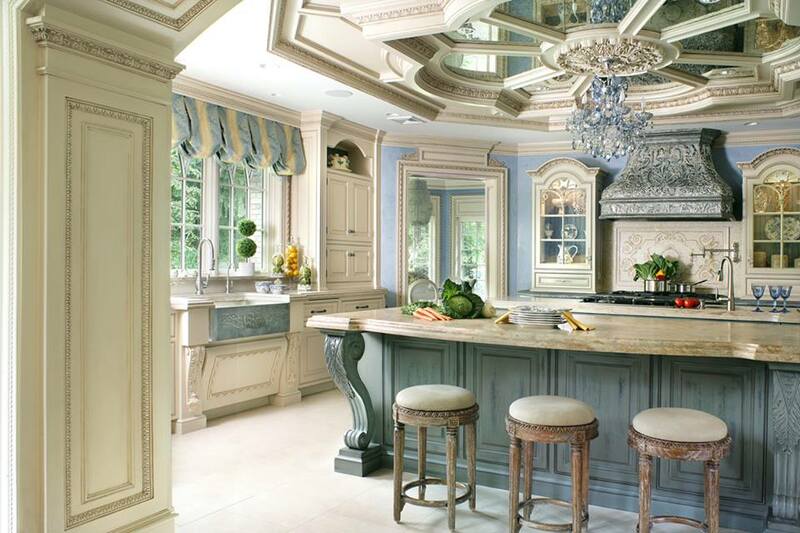 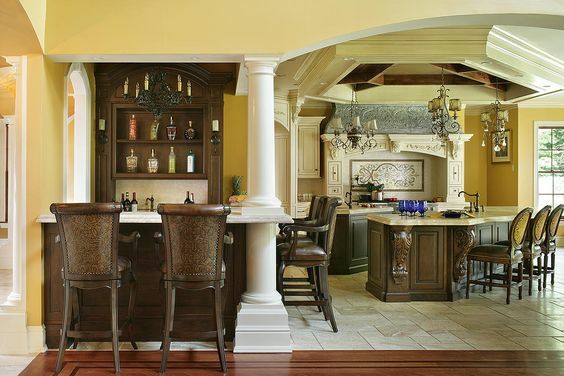 The Carrolls’ kitchen design incorporated many of Peter Salerno Inc.’s signature design elements. 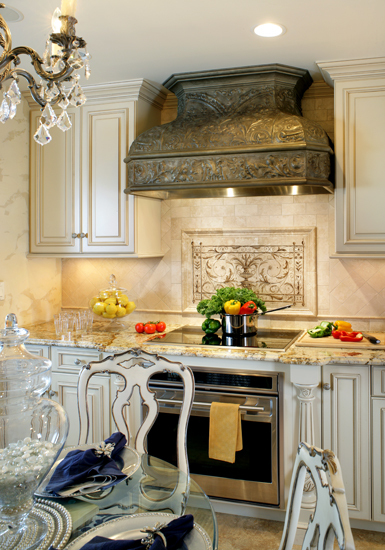 A custom range hood made from reclaimed metals adorns the over space. 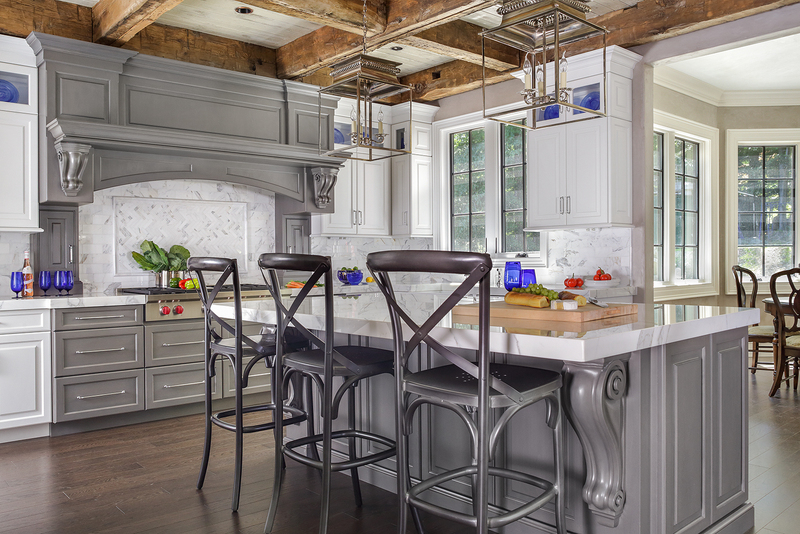 A handcrafted custom kitchen island accents the center of the design, complete with bold island accent lighting (a hot design trend executed with a classic flair). 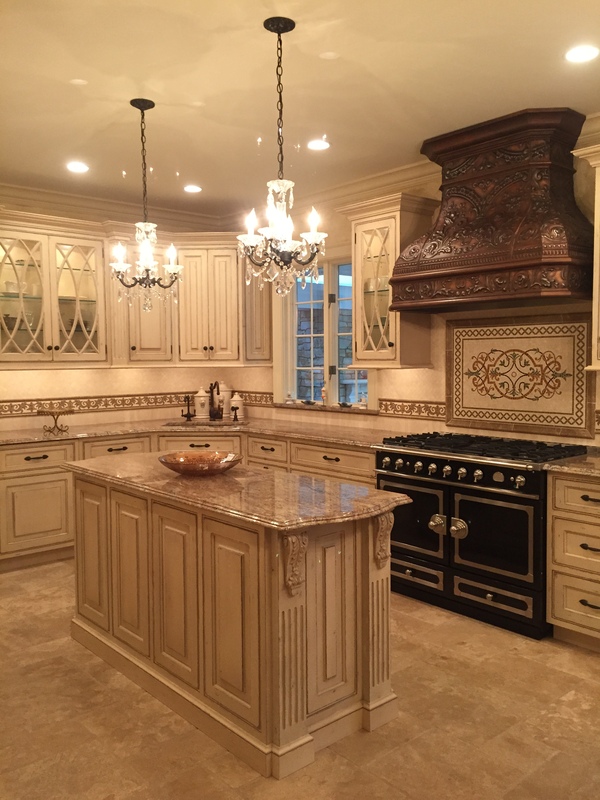 And the custom cabinetry, a cornerstone of Salerno kitchen design, looks as beautiful today as it did when it was crafted. 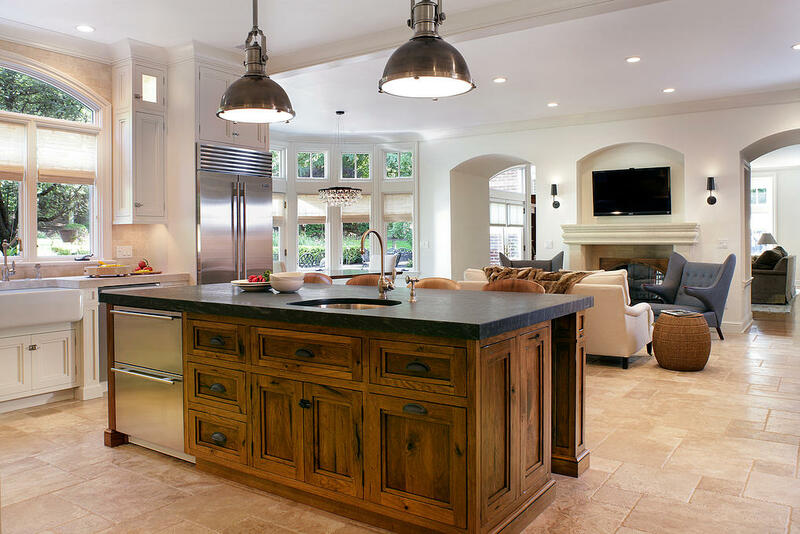 The kitchen design comes complete with a beautiful black La Cornue range, one of the finest kitchen ranges in the world today. 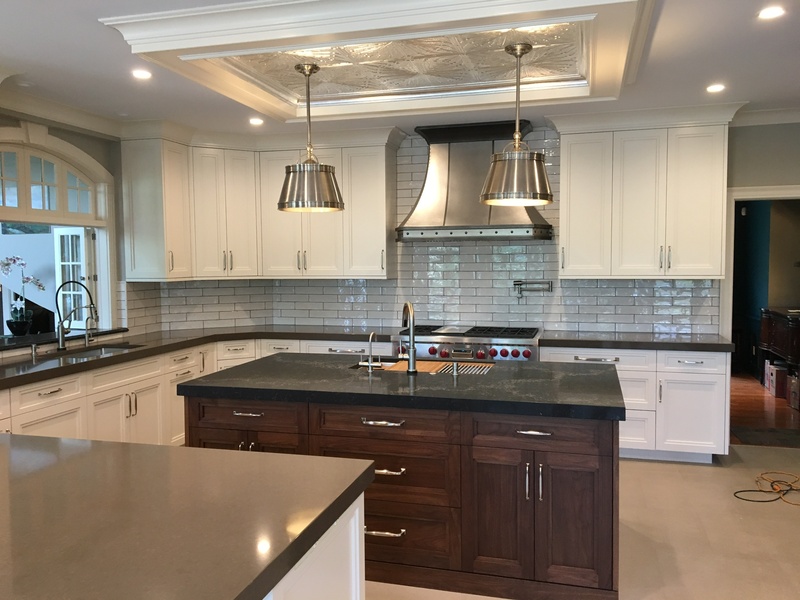 The range is backed by a beautiful custom backsplash, and the complementary floor and wall tile add a large measure of custom class and refined charm to the kitchen space. 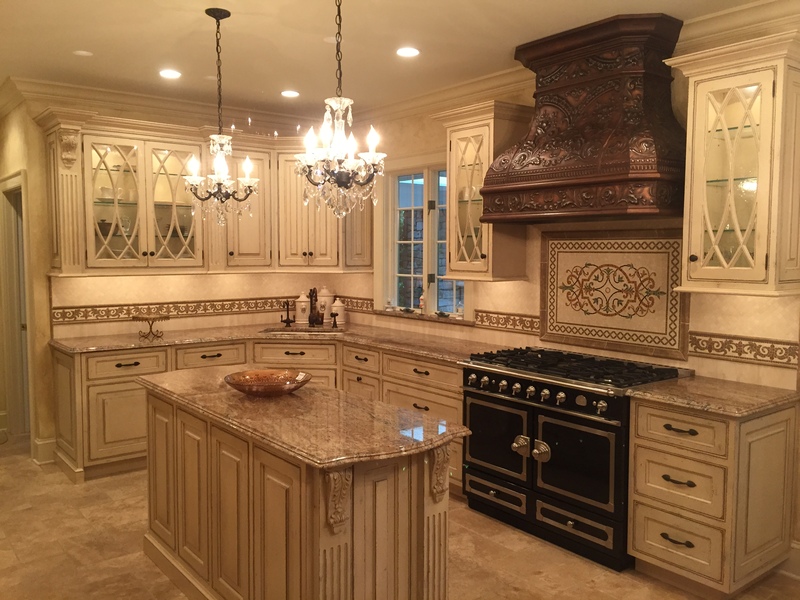 Michael and Francine Carroll greatly enjoy sharing this kitchen space with their family and friends, and it is truly the heart of their home. 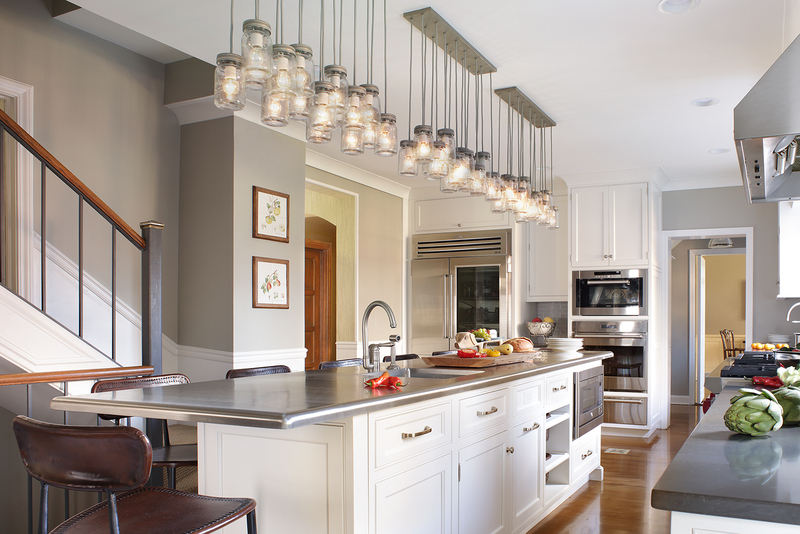 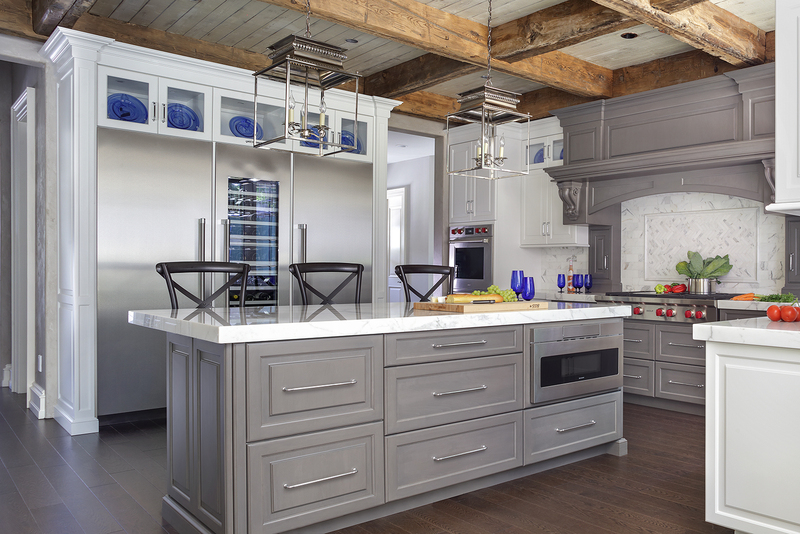 But words can only say so much – please take a moment to look at these beautiful kitchen design photos from inside the Carrolls’ home, and see for yourself why it is one of Peter Salerno’s favorite kitchen design projects in recent memory! 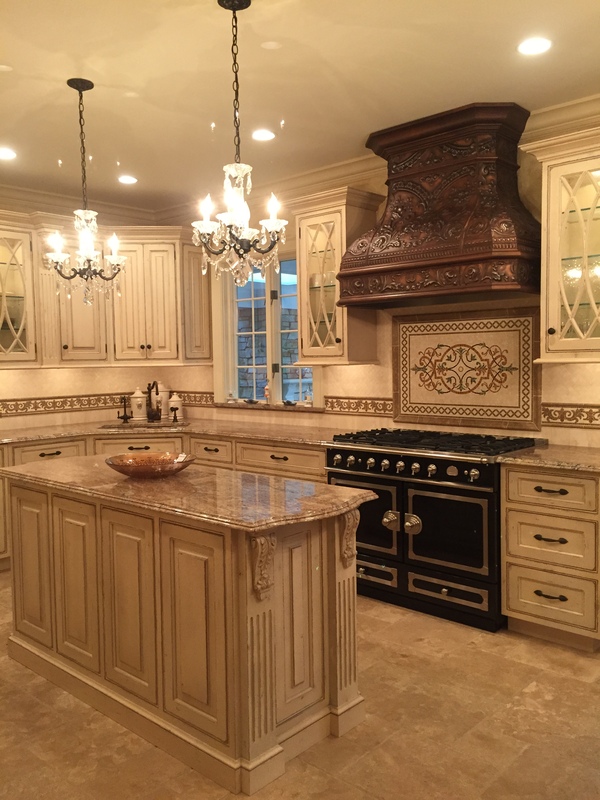 Want a custom kitchen design quote from Peter Salerno Inc., the most award-winning North American design firm of the last 20 years? 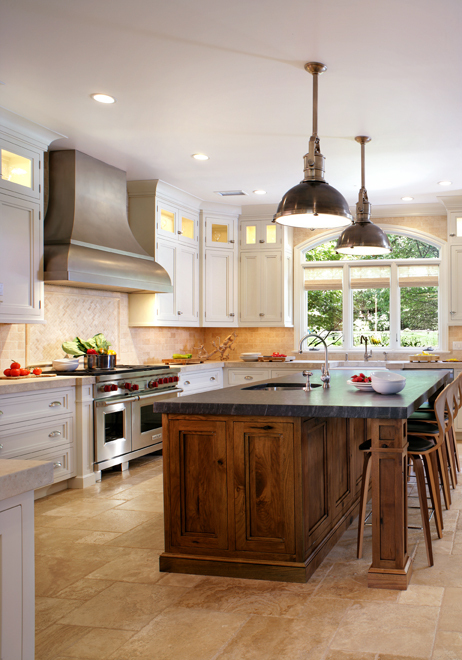 Fill out the form below or call (201) 251-6608 for information!